I am trained in bronchoscopy and have done over 5000 bronchosopies with transbronchial needle aspiration and lung biopsies. I am trained in all pleural work including pleural biopsies and medical management of empyema. I am an expert in the management of obstructive sleep apnea as well as use of CPAP and BiPAP. I have vast experience in managing difficult cases of Tuberculosis, Sarcoidosis, Diffuse interstitial lung disorders, Pre and post operative cases of thoracic and abdominal surgery, complicated cases of COPD and bronchial asthma and management of all types of respiratory failure. I have special interest in ventilator management and am daily involved in the treatment of patients with ARDS, septic and other forms of shock. I am regularly involved in long term ventilator management, management of community as well as nosocomial lung infections, care of immune compromised and transplant patients. I am a recognized teacher and guide (Delhi University) for training in MD (Internal Medicine) and also for Diplomate National Board (Respiratory Medicine). Presently I am guiding a number of students and performing academic and training activities for DNB Respiratory Medicine students to ensure the next generation of highly skilled healthcare providers for the Nation. I am presently engaged in carrying out original research in sarcoidosis, tuberculosis and asthma which could serve to alleviate suffering in large sections of the Indian population. I have undergone a six month observer ship at Baylor College of Medicine, Houston, Texas (USA) on a Research award by the American College of Chest Physicians. One third of my work entails treating Below Poverty Line patients free of cost, making the best treatment possible for the underprivileged section of our country. 2001 to date: Took premature retirement from Army Medical Corps. 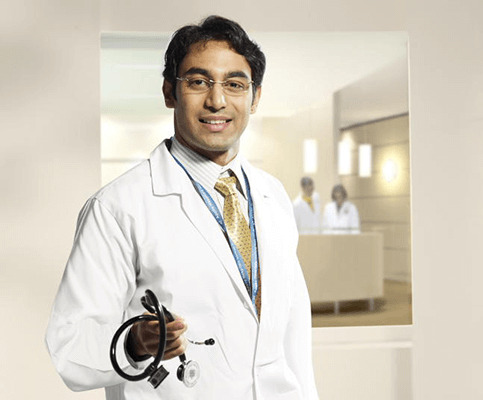 Joined Indraprastha Apollo Hospitals Delhi as Senior consultant Pulmonary, Critical Care and Sleep medicine. 1991 – 2001: trained as Pulmonolgist and served as Classified Specialist- Medicine and Pulmonology in tertiary care, research and referral centers including two 600 bedded Respiratory Care Superspeciality centers. Was a recognized teacher (University of Delhi) for postgraduate MD (Internal Medicine). 1982 – 1991: Trained as Medical Specialist, was deployed in flood relief in Punjab during 1985 and 1986. I was posted independently in secondary and tertiary care hospitals and was involved in teaching and research activities.